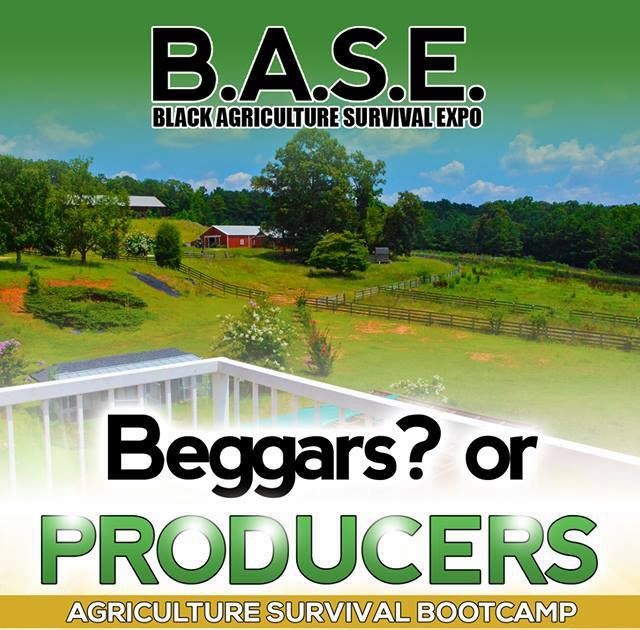 Black farmers, students and agriculture professionals from all over are called to attend the Black Agriculture Survival Expo (B.A.S.E.) taking place in Newnan, Georgia from Friday, December 6 to Saturday, December 7. Presented by ABSEEDS of Learning along with industry partner Hit on the Head, the expo’s theme is “Declare Your Independence”. The two-day expo will take place on 103 beautiful acres in Newnan, Georgia just 45 minutes from Metro Atlanta. Participants will have opportunities to showcase their products, connect directly with growers and manufacturers, and network with agriculture professionals. The topics for the Black Agriculture Survival Expo center on agriculture as a survival tool and agribusiness. On Friday students are invited to a career development and networking day from 9 a.m. to 4 p.m. Currently 53% of college graduates are unemployed. Agriculture is one of the only industries hiring steadily. During the daylong event students can meet farmers, learn about healthy survival food on a student budget and explore internships and mentorships. Saturday features hands-on, interactive workshops on composting, hoop house vermin composting, aquaponics, alternative solar and generator energy, food sources, bee keeping, poultry, fish farming, husbandry - ( i.e. cows, dairy and beef, goats), marketing and land usage. The goal is to propel self-sufficiency. For registration and vending information visit: www.blackagriculturesurvivalexpo.wordpress.com. Supporters can help sponsor students by donating to the expo gofundme page here: http://www.gofundme.com/54xjfw. Agriculture is a critical industry for the well-being of any nation. The focus on the Black community is rooted in the community’s tendency to be consumers rather than producers. Intertwined with the Honorable Louis Farrakhan’s ongoing message on the importance of land and agribusiness, the Black Agriculture Survival Expo hopes to plant seeds self-determination and unity.